Some flooring materials lend themselves well to DIY (Do It Yourself) home handymen. Other flooring options require a professional installation. Engineered floor materials are pre-cut in order to slot together. This is quite good for DIY’s. Especially good if you want a floating floor, installed above a main floor. When choosing flooring you need to look at how everything in the house connects together. Most people are aware of décor, but there are also heating and cooling considerations, soundproofing if you live near other residents, and other factors that are unique to each situation. Using water or electrical systems to heat the floor is steadily becoming more common in Australia. It is a major change to the house, but also one that can be installed by many DIY handypersons. Some floor heating companies will design a kit suited to the home floorplan, and supply the materials so that the Home DIY person can install it at their leisure. Of course the right type of flooring material needs to be used. Engineered Bamboo or engineered wood works well because there is little chance of the flooring material expanding and contracting with the heating system. Floating timber floors are installed above a pre-existing floor, and not attached to the floor underneath. They are common in houses with concrete main floors, or in apartments that require some soundproofing. 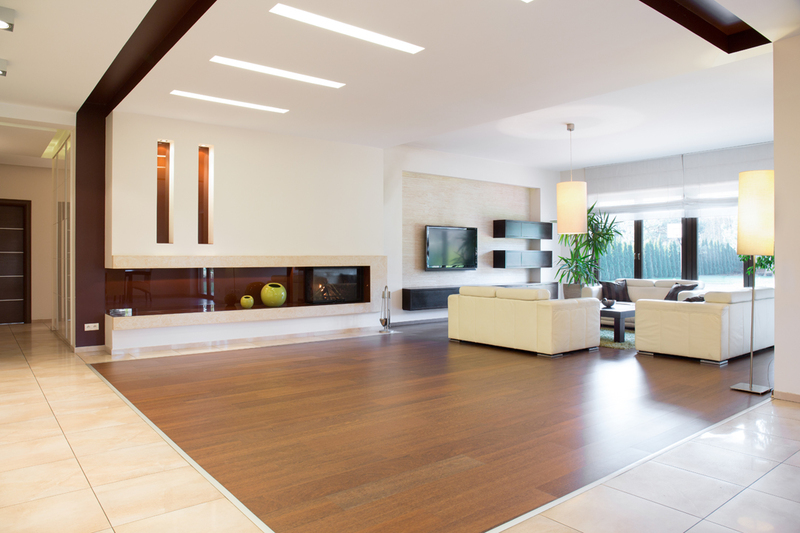 The floating timber floors are usually made of engineered wood or bamboo above a soft underlay. The soft underlay provides sound and thermal isolation. These floating floors are an ideal project for Home DIYs. Our showroom is in Brookvale, ideally located to serve the North Shore, Northern Suburbs, and most of Sydney.